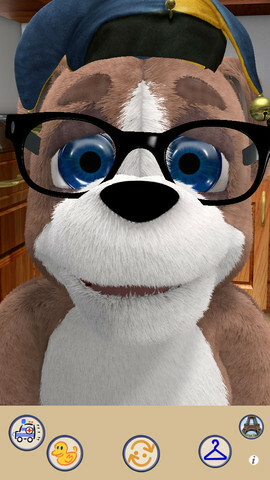 Duke the Dog, your favorite virtual pet is now back with the iOS app Talking Duke Dog 2. 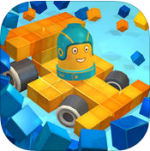 Recently released by Cloudburst Games, LLC, it brings to you the antics and humor of a 3D animated adorable pet on the screen of your iPad, iPhone or iPod Touch. It doubles up as your talking friends too. Duke, your talking iOS pet resides in an app on your mobile device. You just have to boot it and hang out with him if you wish to create some silly, funny memories. He’ll imitate and repeat everything you say, make a big mess, play pranks on others, do silly cute tricks and keep you entertained. If you wan to make the most of this friend, then there are a number of in-app purchases. There are sunglasses, propeller hats and much more that will make your pet look unique. While it is fun playing with Duke, the lack of any games or special animations was quite noticeable. Nonetheless, it is quite a lot for a free app. The layout of this app is a fun and sharp one, looking gorgeous on the iPad. As Duke poses in funny ways, the app looks simply fantastic. The animations have been done excellently, and look great even on a small screen. The flow of the app is very smooth and natural too. The app lacks a tutorial or guide of any sort. Although the app is quite simple to figure out, a tutorial would have been good for first-timers. The concept of the app is quite simple. To elicit varied responses from your pet, you simply have to tap him in different spots with various combinations. The quality of audio is wonderful too. Duke can very well repeat just anything you say. So watch your tongue around him. 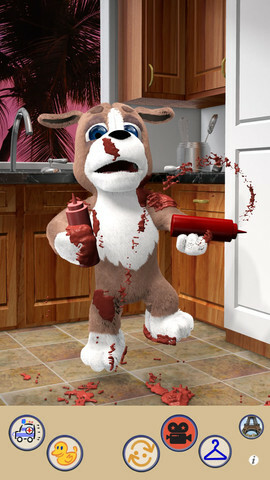 For a free iOS app, Talking Duke dog 2 is a lot of fun. If you are feeling lonely at any point of time, you can just turn to this cute silly friend and hang around with him. And you can also well rely on him to keep you entertained. His pranks, tricks and animations will indeed get you rolling on the floor with laughter. He can indeed keep you amused for a good long while. Also, you can have interactive comedy sessions with Duke and then post these on Facebook to share the laughter with your friends. You have the freedom to customize him as per your will and instruct him to do anything for you. 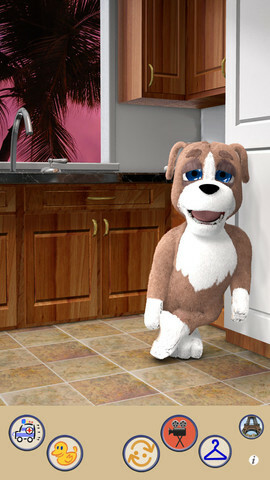 This app has better animations than its predecessor Talking Duke Dog. It won’t be long before Duke becomes an integral part of your life. All you need is an iOS device with version 4.3 or higher. This app is also available in Danish, Japanese, Russian, French, German, Turkish, Swedish, Korean, Portuguese, Chinese and Italian besides English. It occupies a mere 73.3 MB on your device. 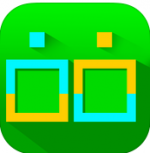 The touch sensors, sound and graphics of this app are much great. Duke can make up for lack of friends at times.